Even though Aleah and I are in the same age bracket, going to the same school and she is someone I would consider a friend or confidant, I was nervous to interview her. Risking sounding strange, I admit that I’m a big fan. Her work has always exuded this pure sincerity and it is something I am continually striving for myself. 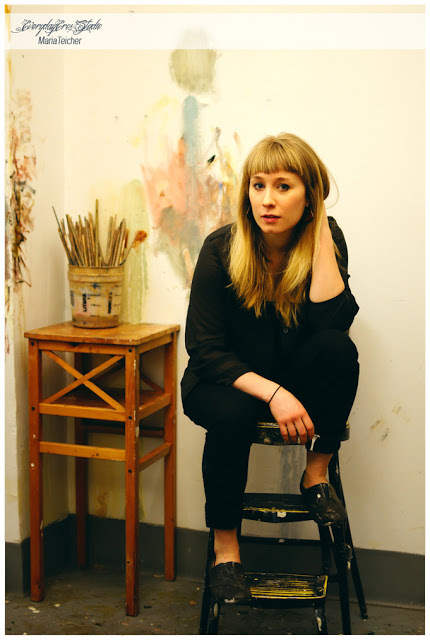 Only one year ahead of me at The New York Academy of Art, I look up to her, her work ethic and ability to stay who she is (while continuing to discover who she’s becoming) in an ever-changing art world. I photographed Aleah in her studio about a month before she graduated this May. She had just been accepted as one of the four finalists in the 2012 BP Portrait Awards. An exciting time for her for sure and the entire school was also buzzing with joy. We met up early in the morning and began talking about her recent success. Albeit filled with excitement, she was calm and rather serene, simply happy to have been a finalist and gotten that far. I can exclaim now, that just a few months ago, Aleah has been named the winner of this year’s BP Portrait award. With it comes the prestigious first prize of £25,000 and a commission worth £4,000. This is an incredible achievement for anyone and certainly for someone only 26 years of age, graduating from getting her masters just a month before. In case you haven’t heard, Aleah is also staying aboard at NYAA, as she has been awarded one of three fellowships. We’re pretty excited that we get to keep her for another year and I am certainly thrilled to be able to watch her work and learn from her for another two semesters. With all the great accomplishments surrounding Aleah this summer, she found some time to answer a few of my questions about her life, her work and what’s been happening. When I asked Aleah what drew her to the academy she tells me that the moment she saw the website, “It felt like home. I had to go.” “It was like if someone said ‘dream of your ideal school’ and voila, here it is. 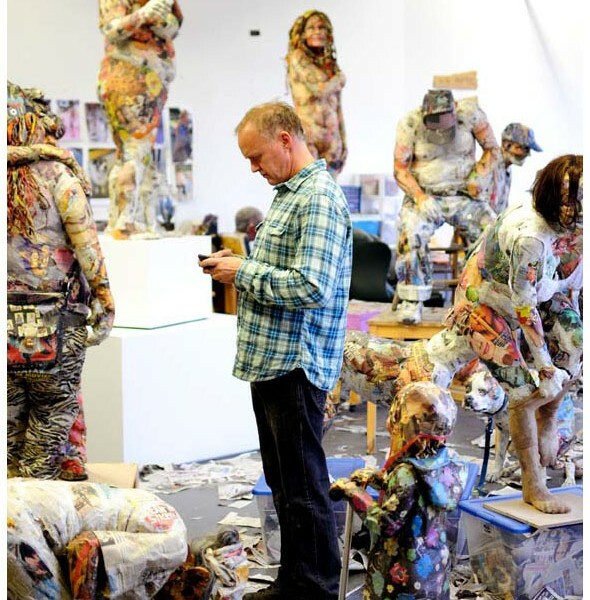 I couldn’t quite believe there was an MFA program that was focused on painting, drawing and sculpting the human body,” she says. 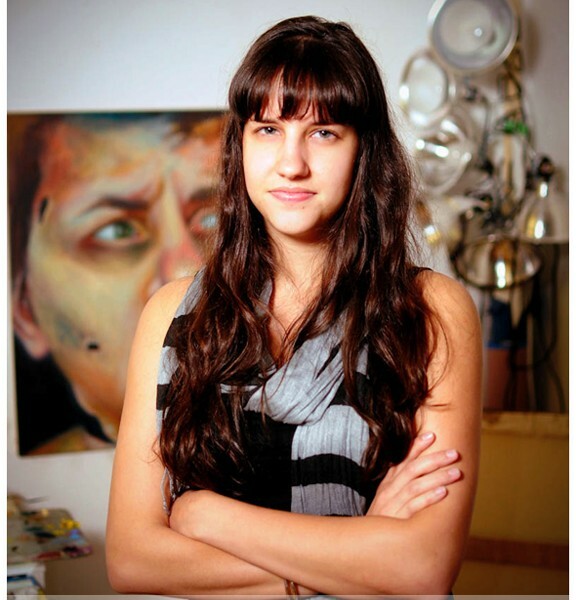 Now, about three years later, one of Aleah’s paintings is on the first page of the academy’s site. One can only imagine that her work is now inspiring others to feel the same way and send their applications in. M: “How would you describe your first year at the academy? Your 2nd year? Aleah accredits the community at NYAA as being one of the most vital aspects of her two years studying. She considers them something beyond peers and more like family. “I think they are just as important in my education and development of my work as the teachers have been.” I have to agree with her there. The academy is a place where you really learn from everyone, most importantly those around you. Having open studios within the school during the semesters allows you to keep a consistent flow of energy around you at all times. From personal experience I can tell you that breaks from painting, drawing and sculpting include walking around your peer’s studios, discussing projects, pieces, the art world at large and grabbing coffee with those available. It’s an inspiring place to be at all times, as you’re growing and learning every minute you spend there. I can personally credit Aleah to encouraging me to take attend a dissection class at the end of my first semester. It was one of the highlights of my NYAA career thus far, and if I hadn’t felt like I was part of this little family, I never would’ve asked her advice about it. She goes a bit further to tell me some of the experiences she’s had with those that inspire her. “I remember walking into the National Gallery in London when I was 16 and seeing a hyper real sculpture of a women laying on her back, her belly sagging slightly beneath the weight of her newborn child. This was Ron Mueck, and that show has stuck with me for the last 10 years. Going to Aleah’s studio for the first time, it was evident immediately that she just loved paint. It was most certainly everywhere, including layers on her computer. When I first walked in to take a few photos, she made the joke that her laptop was actually her thesis work and the rest was really nothing. Although I have never actually seen the cardboard piece she keeps or her mother’s old apron, previously mentioned, I can imagine they look similar and it gives some wonderful “behind-the-scenes” about how often Aleah paints and how much she simply loves the material she uses. Her dedication to painting shows within the walls of her studio, beyond the finished pieces that most only get to see on white gallery walls. As Aleah’s future is shaping up to be a beautiful one, she tells me bit more about her current state. It has taken her a while to finally feel like she was making work that was honest. This is clearly important to her and her practice. “I had to let go of thinking I had to make work that was ‘important’, ‘smart’ or ‘clever’.” It’s a motto she goes by and continues to strive for. Can you tell me the address of building of Brooklyn where Aleah's studio settled? Pingback : BP Portrait Award Exhibition at the RAMM | Jeez, not you again! 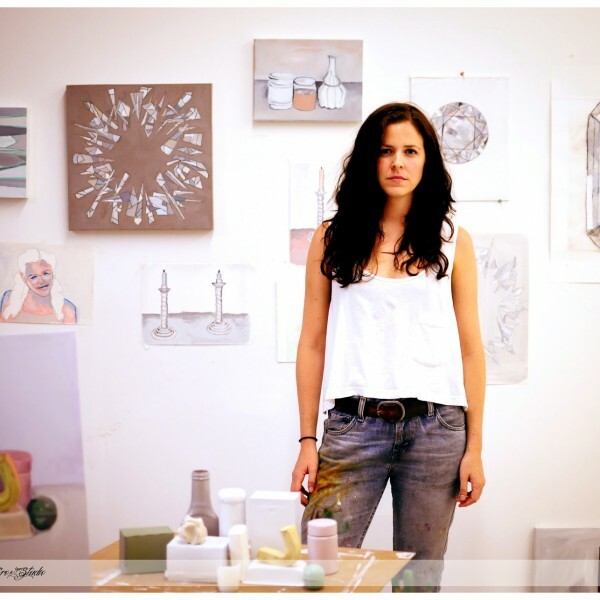 > next post : Inside The Studio with Meg Franklin.